Is this wiring for window defroster, or perhaps speaker? I took out the speaker shelf and rear window deck carpet to get to the top of the motor and noticed this wiring. A friend of mine says that Porsche most likely wired cars for that rear speaker option, so when I saw this, I was curious where it went??? If that is driver's side on a LHD car, it is for the rear window defroster. If your car has a plastic rear window it would only be applicable when the optional hardtop is installed. There should be a place to snap it in at the top of the panel that the driver's seatbelt comes out of. When it is snapped in, the terminal opening will be pointing straight up so that the hardtop wire connector can point straight down and plug into it. It works off the same button as the defroster for the door mounted rear view mirrors. 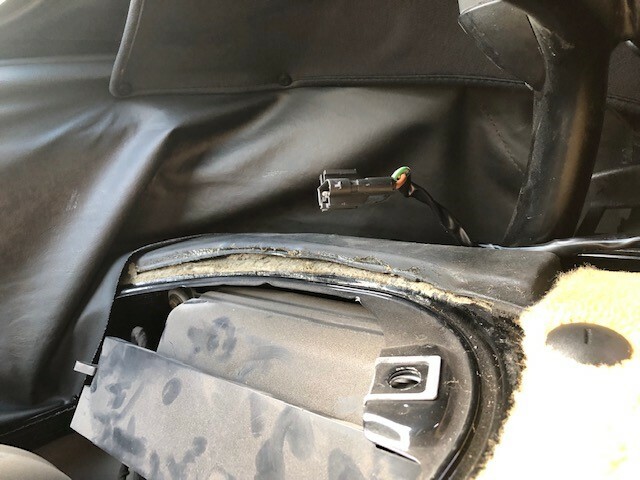 The speaker wire would be on the passenger side of a LHD car. 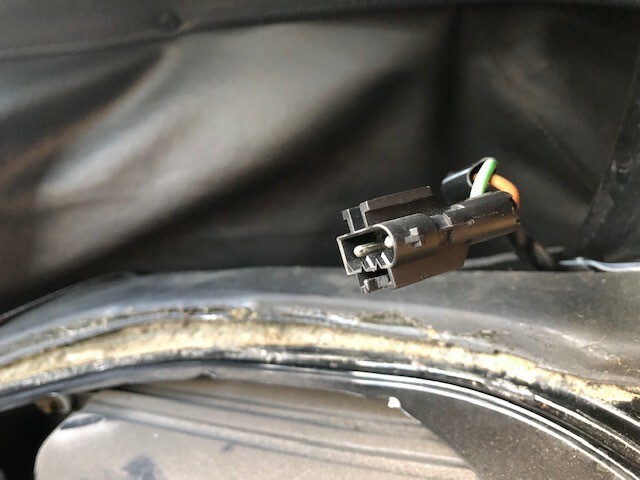 That wire wasn't included on cars that came from the factory without rear speakers and it has more terminals in the plug as I recall. My 2003 S came without any rear speakers. 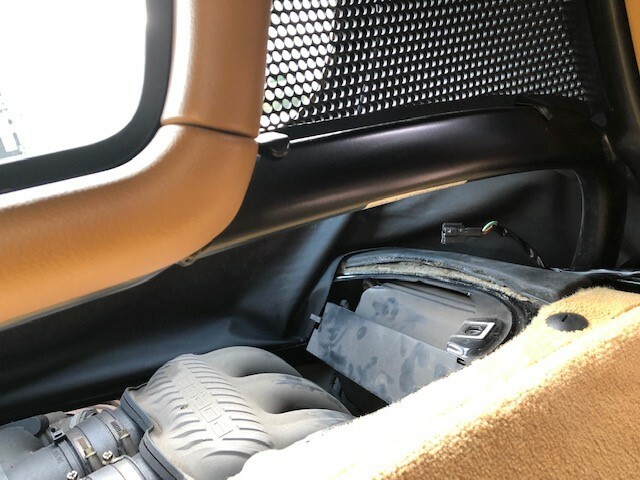 I installed the Porsche rear speaker kit and had to to run that rear speaker wire which was included in the Porsche kit.